Dromida Kodo HD 1080p Drone | Nerd Much? Drones are everywhere now, aren’t they? It’s as if you can’t go to the park without seeing (or hearing) one close by. We’re okay with that; if you hadn’t noticed by now, we’re big fans of the hobby. We’re always looking for new drones to pilot, and thanks to Dromida, we have another one to put on our list: the Dromida Kodo HD. At first glance, it looks like any simple quadcopter you’d find at, say, Toys R’ Us, and the pricepoint subtly says, “hey, there’s nothing new here”. But then when you look at the specs and what it can do a little differently than all the rest, the price becomes somewhat hard to believe. The Kodo HD brings a full HD 1080p camera to the price range, allowing users to record 1080p AVI video at a full 30fps and shoot high definition JPEGS with ease. What’s more, you’re able to adjust the camera angle (which isn’t a common feature of drones under $100). 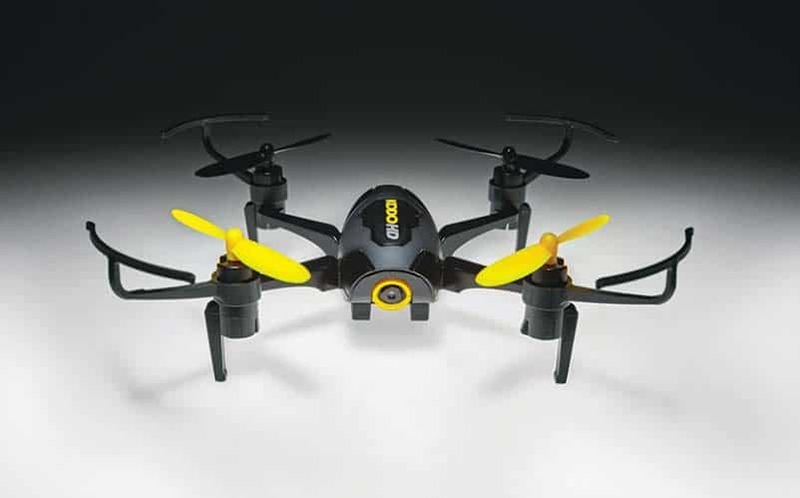 It comes in at a weight of just 40g, which is 12g lighter than the original Kodo drone. This reduced weight gives it a slightly longer flight time (now up to 5 1/2 minutes on a full charge), and it makes the drone respond just that much faster and with more oomph. It has a dedicated auto flip button and three flight modes (Easy, Normal, and Expert) to tailor the experience to the individual pilot. It comes with a Q106 2.4GHz radio, card reader, 2GB memory card, LiPo battery, USB charger, extra blades and AAA batteries, and it comes ready to fly. You can read more at the official Dromida site.